New Directions Publishing Corporation, 9780811216357, 80pp. Among the most gifted and accomplished poets of his generation (Mark Rudman). 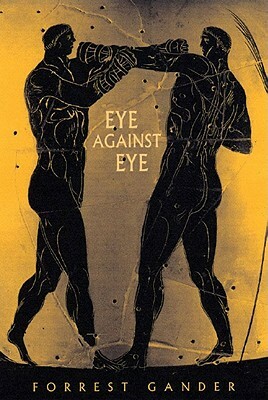 The three long poems in Eye Against Eye convey the wrought particulars of intimate human relations, perceptions of the landscape, and the historical moment, tense with political exigencies. Mayan ruins invoke the collapsing Twin Towers, love between parents and child blister with tension, and a bicycle thief shatters the narcotic illusion of a private accord. Also contained is Late Summer Entry, a series of poetic commentaries on Sally Mann's landscape photographs. Eye Against Eye, Forrest Gander's third book with New Directions, cries out an ethical concern for the ways we see each other and the world, the potential to share a vision that acknowledges our commonality. As always with Gander's poetry, suspensions and repetitions drive toward a complex emotional experience, evoking the multifaceted, multi-vocal surge of our present.